Brazilian Guy Charnaux first came to the international attention with his graduation film A Man Called Man (2015) at Vancouver Film School, in which an archetypal story of a girl and a boy result in the noirish atmosphere -with 2B pencil drawings and a bit of (literal) blood. He continued with The Poet of Horrible Things (2016), a second adaptation from writer Rafael Sperling and his story "A Dumb Man Died"). The no-holds-barred story of a young boy wanting to express irreverent (but highly relevant) thoughts in poetry was told with a deadpan humor, syncopated editing, and a directing style of 1930s gangster films. The film went on to appear to many distinguished festivals (among them, Annecy Festival, Anima Brussels). 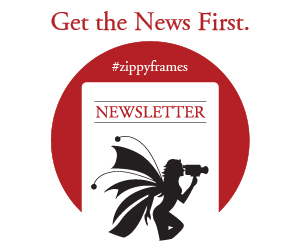 Guy Charnaux talked about his work at Zippy Frames. ZF: You don't seem to like conformity that much. What is the worst thing that your characters (but not you personally) would absolutely not take it at all? GC: I do feel like I need to take people out of their comfort zones, mess with their heads and disturb them a bit. When it comes to the worst thing my characters would absolutely not take, that'd surely be humiliation, not accepting being embarrassed or diminished by someone else in any way, be it in a physical, intellectual or moral manner. They're vengeful beings. Also, having to act or behave in a way that isn't logical or natural to them, that's another thing that they wouldn't tolerate (but then so wouldn't I). ZF: Why was it important to you to sign A Man Called Man with your own blood? GC: I had one thing in my mind more than anything else when I was making A Man Called Man: it had to be powerful. I tried to apply this idea to every aspect of the film, making it powerful in every way I could - composition-wise, style-wise, musically-wise and so on. Given the film's theme, I thought that painting the background with my own blood would not only make it more brutal and forceful, but also contribute to the concept and story of the film - it's a bloody story after all. It also gave me the feeling that I was putting all of me into that film, I'm literally bonded by blood with it. Other than that, I must confess I think I sound pretty cool when I say "yeah, I painted this with my own blood". ZF: Do you consider your work as animated poems? Apart from narration, you visually present your scenes (speech balloons, framing etc) as such. GC: I'm not sure I'd say "poems", but animated short stories for sure, with a clear development and a "beginning-mid-end" kind of structure. There sure is some poetry in there, it's hard not to have some in an artistic mean that allows so much abstraction as animation, but I don't think my films and the narratives that they gird are especially poetic - with the exception of Savagery, my latest film, which is quite the "point-off-the-curve". ZF: Did you ever have to attend a business meeting like the one you describe? GC: I've never had to attend any business meetings at all, thankfully, but I'm under the impression that they're probably all like that. In a way. ZF: You did your M.A degree in Vancouver, after graduating from Digital Media Studies (PUC-Rio). What do you compare the two academic institutions? What did you learn from both? CC: PUC-Rio's where I discovered animation, it's where I started my career. I had the enormous luck of having the great Marcos Magalhães as my teacher, his History of Animation class is absolutely amazing - to be suddenly presented to the work of geniuses such as Norman McLaren and Jan Svankmajer when all I knew about animation was Disney and Cartoon Network, it totally blew my mind and inspired me a lot. I learned the absolute basics of animation with him as well, the principles and such. PUC-Rio gave me that first push, the ignition, and then it was up to me to keep moving and find my own way, my own expression. In VFS it was a far more technical and industry-oriented approach, it's where I truly became a fully-prepared professional. I'd arrive at school at 9am and leave at 1am - out of my own will, I faced it as a boot camp. I also had the opportunity of being in touch with another animation legend in there, the great Marv Newland, who's partially responsible for me diving into this wild independent animation world. ZF: How long it usually takes you from the idea to completion? What is the most rewarding part, a film finished? GC: Answering the first question, that depends on the characteristics of the project - mainly how long's the film, what kind of visual style am I using and how crazy is the animation. A Man Called Man took about five months, The Poet of Horrible Things around eight months (although it could have been done in six months or so) and the latest two films took around two or three each. I don't think the most rewarding part is the finished film, not at all, but the process itself: animating a scene or part of it, playing it back after doing all those drawings and getting that feeling of fascination and wonder from seeing something that only existed in your imagination coming to life, like playing God. I guess any animator who really loves his craft would agree with me on this. Discover the full work of Guy Charnaux.